Exceptions let you handle unusual error conditions without cluttering your code with nested ifs after every method call. You can use a single piece of code at a higher level to deal with all the exceptions triggered at a lower level. You can handle some of the exceptions at lower levels and others at a higher level and others you don’t handle at all, just let them terminate your program. There are two kinds of Exceptions, checked and unchecked. 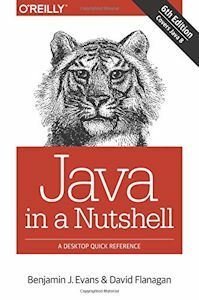 You don’t need to declare unchecked Exceptions, those that derive from java.lang.Error and java.lang.RuntimeException, in your throws clauses. Checked Exceptions usually derive from java.lang.Exception. For unchecked Exceptions ( i.e. Errors and RuntimeExceptions such as IllegalArgumentException) the throws clause is optional. I find them useful documentation since they show up in the Javadoc. Run Time Error Messages Status Code or Exception? Exception come is several flavours: RuntimeExceptions, Errors, Checked and Unchecked. Runtime java.lang.RuntimeException Error that can occur in almost any code e.g. NullPointerException. Error java.lang.Error Serious error you really should not try to catch, e.g. OutOfMemoryError. Checked java.lang.Exception Likely exceptional condition that can only occur in specific places in the code e.g. EOFException. Collectively, RuntimeException, Error and Exception are derived from Throwable. RuntimeException is derived from Exception, which is derived from Throwable. Error is derived directly from Throwable. If you catch RuntimeException you will catch all manner of run time Exceptions (type R). If you catch Error you will catch all manner of errors (type E). If you catch Exception you will catch all manner of checked Exceptions and run time Exceptions (type R+C). If the Exception is checked, you must either fob it off on the caller, with the throws clause or catch it yourself. Unchecked Exceptions are ones like running out of RAM (Random Access Memory) that, in general you can’t do much about, or that are not associated with specific problematic code, or that are very common such as IllegalArgumentException or NullPointerException. You don’t have to catch unchecked Exceptions or explicitly fob them off on the caller with throws. The classification of an Exception is not an exact science. It is a little bit like the arbitrary assignment of gender in French or German to objects. You just have to look it up. There is a major clue, Error Exceptions end in the string Error while checked Exceptions and RuntimeExceptions end in the string Exception. AccessControlException R java.security This is an exception that is thrown whenever a reference is made to a non-existent ACL (Access Control List) (Access Control List). notes. AccessException C java.rmi Thrown by certain methods of the java.rmi.Naming class. AclNotFoundException C java.security.acl Thrown whenever a reference is made to a non-existent ACL (Access Control List). ActivateFailedException C java.rmi.activation thrown by the RMI (Remote Method Invocation) runtime when activation fails during a remote call to an activatable object. ArithmeticException R java.lang Most commonly a divide by zero. notes. ArrayIndexOutOfBoundsException R java.lang Can be handled more generically with IndexOutOfBoundsException. notes. ArrayStoreException R java.lang Thrown to indicate that an attempt has been made to store the wrong type of object into an array of objects. notes. BadLocationException C javax.swing.text This exception is to report bad locations within a document model. ConcurrentModificationException R java.util This exception may be thrown by methods that have detected concurrent modification of a backing object when such modification is not permissible, e. g. two threads modifying a HashMap simultaneously. notes. CRLException C java.security.cert CRL (Certificate Revocation List) (Certificate Revocation List) Exception. EmptyStackException R java.util Thrown by methods in the Stack class to indicate that the stack is empty. Does not refer to the system stack. Error E java.lang Catches any serious error such as OutOfMemoryError that you unlikely can recover from. Exception C java.lang generic. Catches any specify Exception plus general Runtime exceptions, but not Errors. IllegalAccessException C java.lang Thrown when an application tries to load in a class, but the currently executing method does not have access to the definition of the specified class, because the class is not public and in another package. IllegalArgumentException R java.lang Most common exception to reject a bad parameter to a method. IllegalStateException R java.lang Signals that a method has been invoked at an illegal or inappropriate time. IndexOutOfBoundsException R java.lang Similar to ArrayIndexOutOfBoundsException for ArrayList. InterruptedException C java.lang Thrown when a thread is waiting, sleeping, or otherwise paused for a long time and another thread interrupts it using the interrupt method in class Thread. InvalidAlgorithmParameterException C java.security This is a GeneralSecurityException. See IllegalArgumentException. NullPointerException R java.lang Actually a null reference exception. notes. NumberFormatException R java.lang Commonly thrown when a String is converted to internal binary numeric format. notes. OptionalDataException C java.io Unexpected data appeared in an ObjectInputStream trying to read an Object. Occurs when the stream contains primitive data instead of the object that is expected by readObject. The EOF (End Of File) flag in the exception is true indicating that no more primitive data is available. The count field contains the number of bytes available to read. OutOfMemoryError E java.lang By the time this happens it is almost too late. gc has already done what it could. Possibly some process has just started gobbling RAM, or perhaps the problem you are trying to solve is just too big for the size of the allotted virtual ram. You can control that with the java.exe command line switches. RuntimeException R java.lang Error that can occur in almost any code e.g. NullPointerException. Use this when to catch general errors when no specific exception is being thrown. StreamCorruptedException C java.io ObjectStream data are scrambled. notes. StringIndexOutOfBoundsException R java.lang Can be handled more generically with IndexOutOfBoundsException. notes. UnsupportedDataTypeException C java.io undocumented. notes. UnsupportedOperationException R java.lang Use for code not yet implemented, or that you deliberately did not implement. There is no BadDataFormatException to complain about badly formatted data files. You would expect there to be one either derived from IllegalArgumentException like NumberFormatException or from IOException like UTFDataFormatException. You can either reuse IllegalArgumentException or IOException, or roll your own BadDataFormatException. Should you report problems with a status code returned from a method or with an Exception? The C-style is to use status codes. There is nothing that says the caller has check a status code. Programmers are lazy and don’t bother to check return codes. No error or warning is generated. If the caller of the caller is the proper place to handle the exception it takes futzing to propagate the information up the chain. Exceptions should be exceptional. They are for errors, things that are not supposed happen. EOFException is a special case. It will happen at most once per file. If there are 50/50 odds of either status, you should use a status code. There is an extra overhead to catching an exception. Don’t use Exceptions to return common place data or status. A rule of thumb might be if a method returns an error more often than 1 in 10, use a status code instead of an Exception to report the problem.